Hi, Thanks for visiting our website. We have a lot of fun and I love taking pictures. Some of them love it too!! 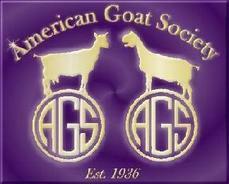 We have been raising Nigerian Dwarf goats since 2009. We started for 4-H for my daughter. We have loved it from the beginning. We do breed for Quality, conformation etc … I do believe we all have our favorite colors!! I tend to love the buckskins!! Although there are different ones that sometimes catch my eye!! I don't really have a preference in eye color. I love them both! !